MYRTLE BEACH, S.C. – Feb. 26, 2018 – PRLog — United Infrared Inc., confirmed that they will host the Thermal Imaging Conference 2018, set September 30 – October 3 at the Hilton Myrtle Beach Resort in Myrtle Beach, South Carolina, steps from beach. This event is designed to provide an exciting format for professional development, education and networking opportunities for all Thermographers interested in learning the technical and business aspects of contracting thermographic services and running successful businesses. 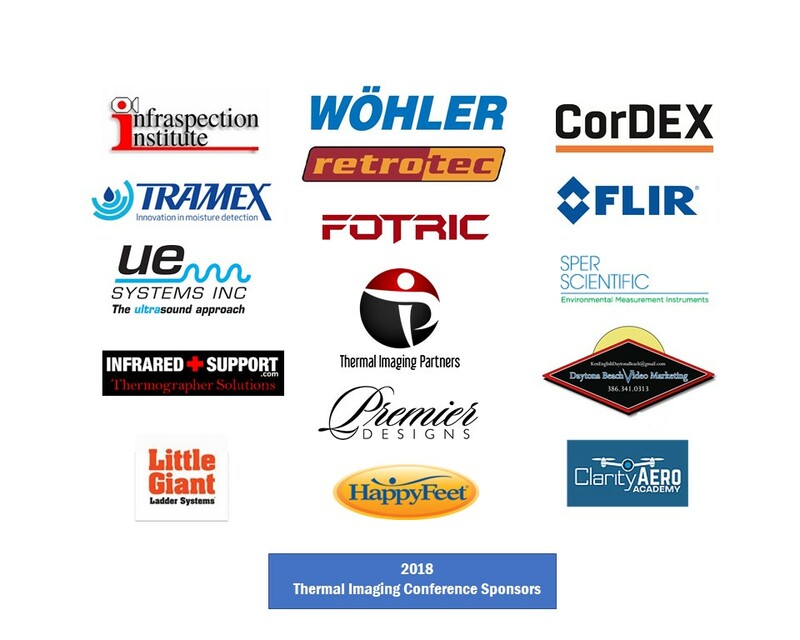 This year’s conference will focus on the use of thermography and related tools in the application areas of Building Survey, Construction Defect, Roof Moisture, Air Leak and Heat Loss, Electrical Predictive Maintenance, HVAC and Mechanical, Medical and Equine IR Imaging, Research and Development, specialty applications such as Ultrasound and Steam. The conference theme will be “SOS – Secrets Of Success” It’s intention is to help the attendees know the right tools they need when they are battling Building Moisture, Electrical problems, Heat Loss, or even medical injuries. Thermography has proven to be an effective tool for identification of common defects however in almost all cases, ancillary equipment will be necessary including moisture meters, amperage clamps, underground imaging equipment and ultrasound to name a few. For a decade, the name United Infrared, Inc. has been synonymous with the teaching of thermal imaging related skills and the promotion of the idea that serious thermographers must be certified. And as a distributor of infrared cameras, it handles all major brands, including FLIR, Seek, Fotric, Wohler, Tramex, and others. Ancillary equipment demonstrated, taught and sold includes everything from sewer cameras, moisture meters, roof and wall scanner to spray racks capable of simulating wet/moisture conditions, even in a dry environment. The Conference is the sixth annual, and being held on the east coast for the first time. The Hilton Myrtle Beach Resort is a destination location set at the north end of Myrtle Beach. The UI office has special pricing packages available for attendees. Sponsors of the event will be announced separately. United Infrared Services is the service network for United Infrared. United Infrared Services has a network of skilled thermographers across North America and provides help for building owners, facility managers, and even homeowners, dealing with leaks around windows, through roofs, electrical issues. A medical division even helps with health problems for humans to horses by providing infrared scans. United Infrared Services Inc., a nationwide provider of thermal imaging services, is well-known for its professional infrared thermographic services and has the largest network of certified infrared thermographers in the world. RoofScanIR™ www.roofscanir.com is a service provided by UIS that uses thermographers, highly trained in infrared roof scanning, to detect and document moisture in roofing systems. Other market niches include BlockWallScanIR, ElectricIR, MoistureFindIR, EnergyScanIR and DataCentIR. United Infrared also trains Home Inspectors to use thermal imaging with its HomeInspectIR online course.